As any artist knows, there’s incredible satisfaction in actually creating physical objects with your own hands. This is the real attraction of the studio — not just for the artist but everyone who encounters an artist in their place of work. Yet now we live in a world where an artist’s livelihood, career, or business success depends increasingly on effective use of the web. Visitors to this fall’s Clark County Open Studios Tour will discover a broad cross section of artists and artisans, many of whom are now finding their own way to strike a balance between their art-making and the internet. Each year, 50 local artists open their studio doors to the public for one weekend in November. This year the event is on the weekend of November 3-4. A reception and preview exhibit will be held at the CAVE Gallery on First Friday, November 2. Studios on the tour are scattered far and wide, from Woodland to Washougal. While there are 50 artists each year, there is always a different 50. In fact, 15 of the artists are entirely new to the Open Studios program. Among disciplines represented are wood turners, ceramicists, printmakers, fiber artists, glass artists, and many more. What’s interesting is how a number of artists, attuned to the web, are creating their own cottage industries by necessity. Business-savvy artisans may be working with an old-world craft while optimizing their success through social media and through sites like Etsy. For fine artists, there are fewer opportunities to just create work and get gallery representation in the traditional way. So the web becomes an important tool, as they need to represent themselves as more art is being sold at art fairs and online than at galleries. 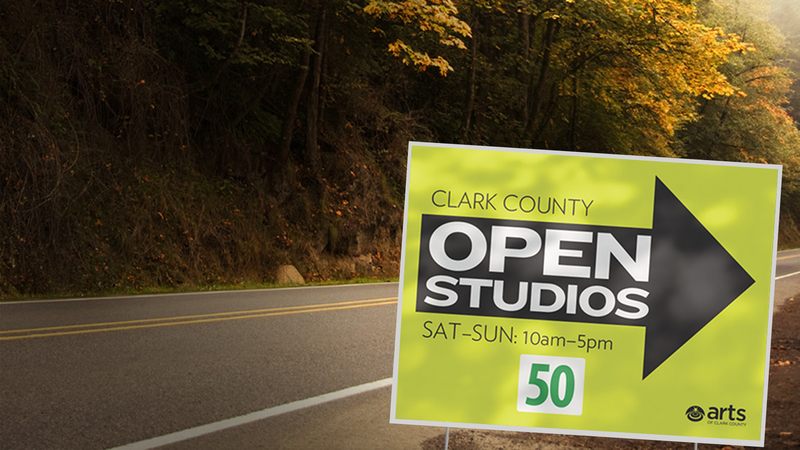 Visitors on the Clark County Open Studios Tour will see artists and studios that run the gamut, and they will enjoy an intimate view into how artists in our community do what they do. View sponsor locations where you can pick up a free guidebook.